Actress Susan Hampshire talks about her career and specifically about playing Lady Glencora and Madeline Neroni in BBC adaptations of Trollope’s novels. 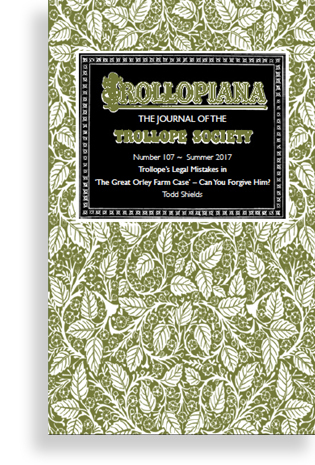 Trollope’s Legal Mistakes in ‘The Great Orley Farm Case’ – Can You Forgive Him? Texas based lawyer Todd Shields has been a devoted Trollopian since the early 1990s. He considers whether criticism of Trollope’s treatment of the law in Orley Farm was justified. 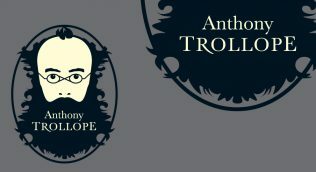 Trollope Society Chair, Michael Williamson, explores more of what Muriel Rose, Anthony Trollope’s grand-daughter remembered. 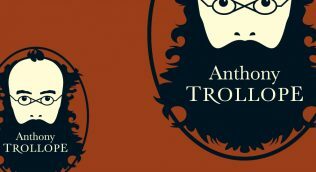 Trollope Society member Nicky Barnes describes a tour of Legal London which complemented the London discussion day on ‘Trollope and the Law’. The Trollope Society thanks members who have contributed to the RNIB’s Talking Books. Pamela Barrell is appointed to be the first Bedeswoman of the Trollope Society. That Trollope’s descriptions of the lawyers and the legal proceedings involved in Orley Farm would raise the ire of the lawyers of his day is hardly surprising.